Please remember there is no training on Saturday 5th December or Sunday 6th December. Gymnasts competing at Lanark on Sunday 6th December please check Facebook for warm up times or ask a coach at the end of training. 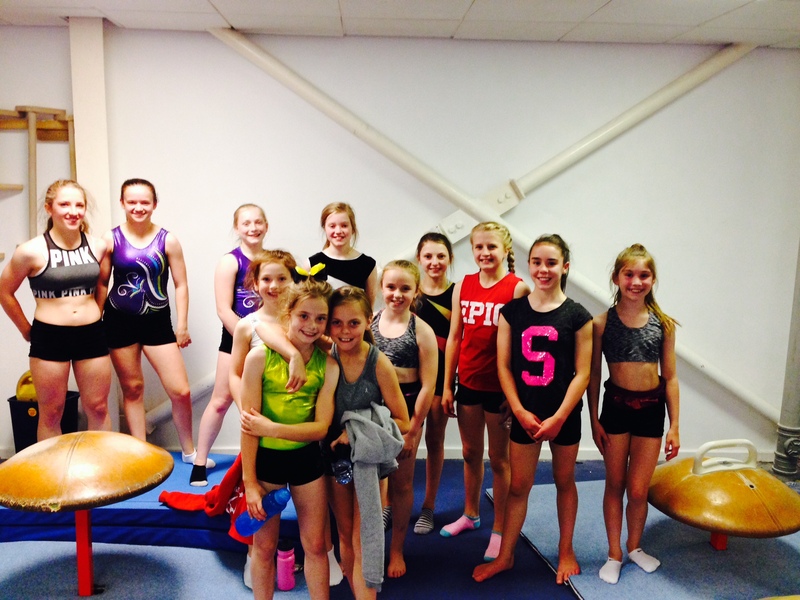 All gymnasts should have competition leotards with them at training this week. Our Christmas hamper raffle tickets are now on sale at the beginning and end of all training sessions. Good luck! Our Christmas part is being held on Saturday 19th December 09:00 – 11:30 at Meadowburn Primary School. Please remember that ALL gymnasts are invited to attend regardless or their regular training days. Competitive tumblers have all been sent a link to show the range and conditioning sequence which gymnasts will be asked to perform. If gymnasts don’t score at least 80% they will be unable to compete at the Scottish. Please ensure gymnasts continue to work on flexibility throughout the Christmas holidays particularly the sequence they have been sent. Our final session before Christmas will be Tuesday 22nd December. All sessions will return as normal week commencing 4th January 2016.